West Bengal Board of Primary Education has released the call letter for Teacher Eligibility Test (TET) 2015 recruitment exam. The TET 2015 exam is going to be held on 30.08.2015 across the state. You can also check your exam venue. How to Know your WB Primary 2015 Exam Venue? To know your exam venue, visit the link given below and put your TET 2015 Roll Number. How to download WB Primary TET 2015 Admit Card? To get your Primary TET admit card, go to the link given below and put your Registration Number. If you face any problem while downloading call letter, feel free to share with us!. So friends, few days are left. Get prepared well for the battle! Good Luck. 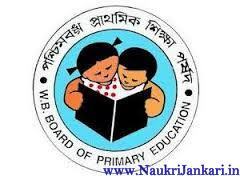 2 comments for " Admit Card & Venue of WB Primary TET 2015 Exam "